Planning a wedding is stressful. Whether you're attempting to go it alone or you're working with a professional planner, there are a million decisions that need to be made and you need to make all of them yesterday. The average wedding is a juggling act of 165 guests, a 3-course meal, and a DJ. It's no small wonder that some things get forgotten. 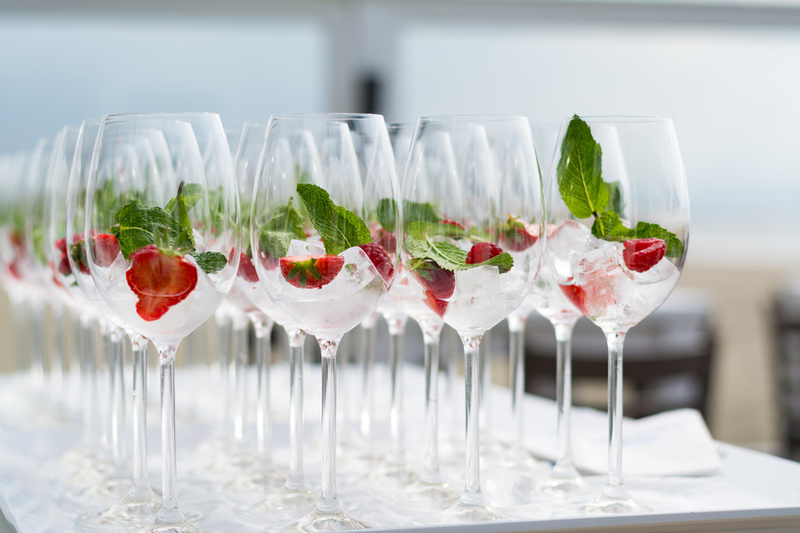 One thing that is often overlooked when planning wedding receptions is the signature cocktails. While they might seem like a small feature, this little touch can do a lot to make your wedding stand out in the minds of your guests and facilitate people having a good time. To save you from forgetting this detail, we've crafted a list of three simple, yet unique cocktails that can give your wedding that extra personal touch without breaking the bank. The Fitzgerald is a bright and refreshing classic, though sometimes forgotten. In reality, it's perfect for those hot, outdoor summer weddings. What's better, it consists of four simple ingredients that any bartender worth their salt will have on hand. This recipe makes one cocktail. To make this cocktail, fill a shaker with ice and then add your gin, simple syrup, lemon juice, and bitters. Shake until the shaker is so cold that it burns, double strain it into a martini glass. If you want to jazz it up, simply muddle in some raspberries to make it an Ella Fitzgerald. If you like rum but don't want all the complication that goes into making a true tiki drink, consider the dark and stormy. Not only is this modern classic delicious and slightly sweet, but it's so simple that even a novice can make it. The only complication is that you need very specific ingredients. Like we said, making this one is simple. Take the glass you are serving in and fill with ice. Add your rum, and then the ginger beer. If you're feeling fancy, you can even add a lime wheel. If you're looking for something bright and sparkly to help toast to your new family at your wedding but want to avoid the high cost of champagne, consider the Palomosa. This fun and bubbly beverage is a combination of two well-known cocktails, the mimosa and Paloma. It requires a few more ingredients. Pour your tequila, grapefruit juice, and lime juice into a champagne flute. Stir, and then add the Prosecco slowly to avoid too much bubbling. With the many considerations that go into planning a wedding, it can be easy to overlook the little things that make the occasion truly unique and personal. With this guide, at least your signature cocktails will be taken care of.